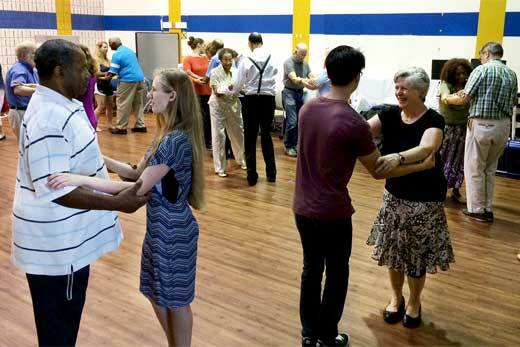 Researchers from Emory University and the Georgia Institute of Technology have found that balance responses in people with Parkinson's disease (PD) are altered after a three-week Adapted Tango dance rehabilitation program. The study, published in the October issue of the Journal of Neurologic Physical Therapy, also show that the three–week program may be as effective as longer programs with similar amounts of class time. A video abstract is available on the journal website. "Balance and gait speed of participants showed improvements that lasted for at least one month after the program ended," says Madeleine Hackney, PhD, assistant professor in the Emory University department of medicine and research scientist at the Atlanta VA Center for Visual and Neurocognitive Rehabilitation. The authors tested participants in a laboratory with a custom-designed moving floor to see whether involuntary balance functions also improved after the program. "We simulated slips using the moving floor to show that rehabilitative dance can change how the nervous system uses sensory information and muscles during balance," says Lena Ting, PhD, professor of rehabilitation medicine at Emory University and professor of biomedical engineering at Emory and Georgia Tech. "While the study sample was small and did not include an untreated control group, it provides evidence that even a short intervention may benefit balance functions performed by deep parts of the brain and spinal cord," says J. Lucas McKay, PhD, MSCR, assistant professor of biomedical engineering at Emory and Georgia Tech. The study was supported in part by NIH R21 HD075612-01, NSF EFRI 1137229, Tango Under the Tent, Inc., and by the Emory Udall Center.